+ Celebrating my friend’s birthday at Messhall. 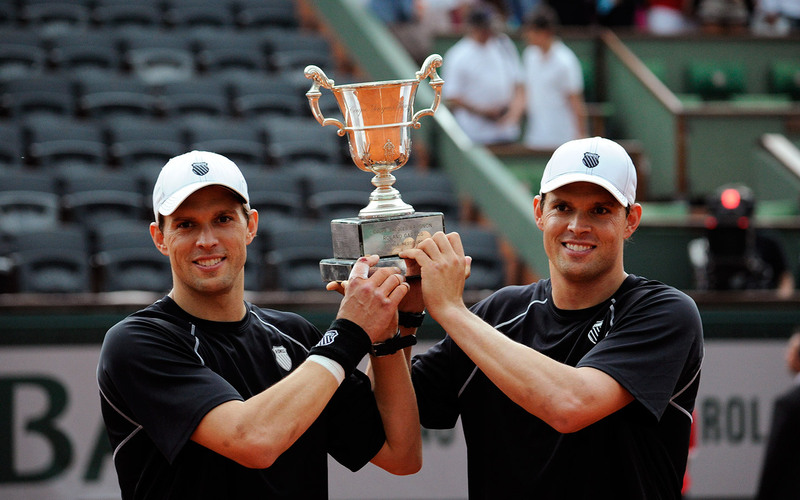 + Lookin’ good Bryan bros – 2013 French Open doubles champs! Woohoo! It really bothers me though that their logos aren’t matching on their shirts. I can’t tell who’s on the right (Mike? ), but his isn’t an “athlete” shirt since it’s not a filled in logo. Also, their hats and sweatbands are breaking ATP rules, which states that any verbiage, including logo names, aren’t allowed to be worn during professional matches. Just felt like sharing those random tid bits. + If you like things neatly organized, look no further than here: Things Organized Neatly. + I fell into the black hole of YouTube and came across this sweet spoken work exchange.